CAREFULLY READ THE FOLLOWING LICENSE AGREEMENT. YOU ACCEPT AND AGREE TO BE BOUND BY THIS LICENSE AGREEMENT BY CLICKING THE ICON LABELED "I ACCEPT" THAT IS DISPLAYED BELOW. IF YOU DO NOT AGREE TO THIS LICENSE, CLICK THE ICON LABELED "CANCEL" AND YOUR ORDER WILL BE CANCELED AND YOU WILL NOT BE CHARGED. Welcome to MatchnRide.com. We are an on-line equestrian marketplace that unites and caters to horse buyers, sellers and breeders via a fully automated database of classified advertisements. The website provides easy-to-use search tools, as well as protected communication channels to assist both the buyer and seller. 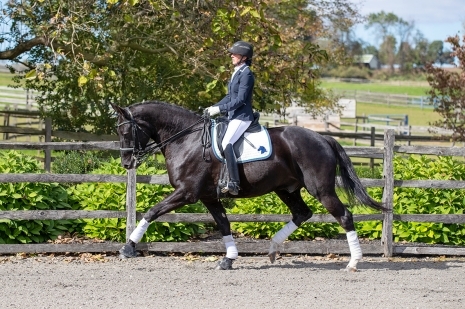 In addition, MatchnRide.com provides an on-line searchable marketplace for equestrian related business. Advertisers or sellers agree to pay, in advance, all fees for the placement of their Ad, whether or not you upload a photo or video with your ad text or complete the matching questionnaire. Upon receipt of all the fees owed, you may upload photos, videos, and text, and may complete the matching questionnaire at any time up to the expiration or cancellation of the Ad. If you choose to provide a photo or video with your ad, you accept the responsibility for selecting and uploading the photo or video to MatchnRide.com. MatchnRide.com does not expressly or impliedly guarantee the sale of your horse(s). All Ad listings are subject to reasonable editorial changes as deemed necessary by MatchnRide.com. MatchnRide.com is not responsible for typographical or factual errors contained in Ads submitted by users. If you provide contact information to facilitate the sale of your horse(s), MatchnRide.com is not responsible for the misuse of this information by others. You are responsible for marking your ad sold. To mark your ad sold, go to “View My Ads” and click on the “Mark as Sold” tab on your ad. Each Ad listing may contain one horse. THE WEBSITE, AND ANY CONTENT, ARE PROVIDED TO YOU ON AN "AS IS," "AS AVAILABLE" BASIS WITHOUT WARRANTY OF ANY KIND, WHETHER EXPRESS, STATUTORY OR IMPLIED, INCLUDING BUT NOT LIMITED TO ANY IMPLIED WARRANTIES OF MERCHANTABILITY, FITNESS FOR A PARTICULAR PURPOSE, QUIET ENJOYMENT, SYSTEMS INTEGRATION, ACCURACY, AND NON-INFRINGEMENT, ALL OF WHICH MATCHNRIDE.COM EXPRESSLY DISCLAIMS. MATCHNRIDE.COM DOES NOT ENDORSE AND MAKES NO WARRANTY AS TO THE ACCURACY, COMPLETENESS, CURRENCY, OR RELIABILITY OF THE CONTENT, AND MATCHNRIDE.COM WILL NOT BE LIABLE OR OTHERWISE RESPONSIBLE FOR ANY FAILURE OR DELAY IN UPDATING THE WEBSITE OR ANY CONTENT. WE HAVE NO DUTY TO UPDATE THE CONTENT OF THE WEBSITE. MATCHNRIDE.COM MAKES NO REPRESENTATIONS OR WARRANTIES THAT USE OF THE CONTENT WILL BE UNINTERRUPTED OR ERROR-FREE. YOU ARE RESPONSIBLE FOR ANY RESULTS OR OTHER CONSEQUENCES OF ACCESSING THE WEBSITE AND USING THE CONTENT, AND FOR TAKING ALL NECESSARY PRECAUTIONS TO ENSURE THAT ANY CONTENT YOU MAY ACCESS, DOWNLOAD OR OTHERWISE OBTAIN IS FREE OF VIRUSES OR ANY OTHER HARMFUL COMPONENTS. THIS WARRANTY DISCLAIMER MAY BE DIFFERENT IN CONNECTION WITH SPECIFIC PRODUCTS AND SERVICES OFFERED BY MATCHNRIDE.COM. SOME STATES WHERE USERS MAY RESIDE DO NOT ALLOW THE DISCLAIMER OF IMPLIED WARRANTIES, SO THE FOREGOING DISCLAIMER MAY NOT APPLY TO YOU. YOU MAY ALSO HAVE OTHER LEGAL RIGHTS THAT APPLY TO YOUR JURISDICTION. Matchnride.com remains the owner of all rights, title and interest in the website, its original features, and its related explanatory materials. However, MatchnRide.com is not responsible for content and statements provided by users, including assertions made by sellers and buyers utilizing the website. You are only authorized to view, use, copy for your records and download small portions of the content (including without limitation text, graphics, software, audio and video files and photos) of MatchnRide.com for your informational, non-commercial use, provided that you leave all the copyright notices, including copyright management information, or other proprietary notices intact. The commercial use, reproduction, transmission or distribution of any information, software or other material available through the website, without the prior written consent of MatchnRide.com, is strictly prohibited. In order to use MatchnRide.com, you must be of legal age to form a binding contract and must not be barred from receiving services under the laws of the United States or other applicable jurisdictions. You agree to respond to information requests on the website's registration forms with true, accurate, current and complete information identifying yourself following prompts from the website's registration system. MatchnRide.com reserves the right to suspend or terminate the account of any user whom it suspects of having provided untrue, inaccurate, out-of-date or incomplete registration information. If you create an account and allow a child under the age of 18 to access the account, you accept full responsibility for determining whether the services or features are appropriate for the use of that child. (c) use a User ID or Password that MatchnRide.com, in its sole discretion, deems inappropriate or offensive. You shall notify MatchnRide.com of any known or suspected unauthorized use(s) of your Account, or any known or suspected breach of security, including loss, theft, or unauthorized disclosure of your password. You shall be responsible for maintaining the confidentiality of your password. Any fraudulent, abusive, or otherwise illegal activity may be grounds for termination of your Account, at MatchnRide.com's sole discretion, and you may be reported to appropriate law-enforcement agencies. MatchnRide.com does not guarantee the sale of your horse or any other products and services advertised on the website. MatchnRide.com also is not responsible for the performance of agreements between buyers and sellers matched up through the website. MatchnRide.com does not guarantee the owner/seller's services, statements, or any horse's performance or fitness for a particular purpose. Buyers are responsible for obtaining a veterinary exam prior to purchase. MatchnRide.com is not responsible for any content provided by or statements made by website users. The information available on the website is intended to be a general information resource regarding the matters covered, and is not tailored to your specific circumstance. You should not construe this as legal, accounting or other professional advice. This Website is not intended for use by minors. YOU SHOULD EVALUATE ALL INFORMATION, OPINIONS AND ADVICE AVAILABLE ON THIS WEBSITE IN CONSULTATION WITH YOUR VETERINARIAN, INSURANCE SPECIALIST, OR WITH YOUR LEGAL, TAX, FINANCIAL OR OTHER ADVISOR, AS APPROPRIATE. MatchnRide.com respects your privacy and seeks to give you control over how your personal information is used. You can access some parts of the website without providing us with any identifying information. However, in order to provide full access to the websites services and features, we may need information from you. Buyers and sellers must provide sufficient information to enable matching transactions to take place. Information requested for this purpose for the searcher includes: email address, User ID, password and search criteria. Information for the advertiser includes: name, address, e-mail address, password, phone number and information about the horse. MatchnRide.com never uses or shares the personally identifiable information provided to us in ways unrelated to the ones described above without also providing you an opportunity to opt-out or otherwise prohibit such unrelated uses. We collect information in several ways during your visits to MatchnRide.com. Some personal information is collected when you enroll as a seller or rider, sign up to receive a newsletter, send a message, or when participating in any promotions offered on matchnRide.com from time to time. Also, when you complete a transaction through the website, we may also keep a record of that transaction. To prevent unauthorized access to personal information, maintain data accuracy, and ensure the correct use of information, MatchnRide.com has implemented practices and procedures to safeguard the information collected by the website. Personal information is stored in a secure server database, behind a firewall, and is inaccessible to the web. Gathering email addresses from MatchnRide.com through harvesting or automated means is prohibited. Posting or transmitting unauthorized or unsolicited advertising, promotional materials, or any other forms of solicitation to other users is prohibited. Inquiries regarding a commercial relationship with MatchnRide.com should be directed to: Ads@MatchnRide.com . You agree to promptly notify us if you become aware of any unauthorized access or use of the features or services by any party. YOU MAY NOT USE THE SERVICES IN ANY WAY TO IMPROVE THE QUALITY OF ANY DATA SOLD OR CONTRIBUTED BY YOU TO ANY THIRD PARTY. FURTHERMORE, YOU MAY NOT USE ANY OF OUR TRADEMARKS, TRADE NAMES OR SERVICE MARKS IN ANY MANNER WHICH CREATES THE IMPRESSION THAT SUCH NAMES AND MARKS BELONG TO OR ARE ASSOCIATED WITH YOU OR ARE USED WITH OUR CONSENT. YOU ACKNOWLEDGE THAT YOU HAVE NO OWNERSHIP RIGHTS IN AND TO ANY OF THESE NAMES AND MARKS. The MatchnRide.com website, including but not limited to its text, logos, content, photographs, flash animations, video, audio and graphics (the "Intellectual Property"), is protected by copyright, service marks, international treaties and/or other proprietary rights and laws of the U.S. and other countries. The intellectual property is also protected as a collective work or compilation under U.S. copyright and other laws and treaties. All individual articles, columns and other elements making up the features and services are also copyrighted works. You agree to abide by all applicable copyright and other laws, as well as any additional copyright notices or restrictions contained in the services. If you would like to make copies and/or distribute certain information, please contact us at Help@MatchnRide.com. You acknowledge that you have evaluated the risks of using MatchnRide.com, including, but not limited to, misuse of your information by third parties, damage to your computer and other hardware through the use of the website, and other related threats. You agree that you bear all risks associated with the use of any content, features or services on the website , including any reliance on the accuracy, completeness, or usefulness of such content, features or services. Consequently, you assume all risks related with the use of this website. MatchnRide.com's services and features are directed to those individuals and entities located in the United States. They are not directed to any person or entity in any jurisdiction where (by reason of nationality, residence, citizenship or otherwise) the publication or availability of the website and its content, including its features and products, are unavailable or otherwise contrary to local laws or regulations. If this applies to you, you are not authorized to access or use any of the information on this website. Matchnride.com makes no representation that the information, opinions, advice or other content on the website (collectively, "Content") is appropriate or that its products and services are available outside of the United States. Those who choose to access this website from other locations do so at their own risk and are responsible for compliance with applicable local laws. You are solely responsible for your interactions with other users. MatchnRide.com reserves the right, but has no obligation, to monitor disputes between you and other users. YOUR USE OF THE CONTENT IS AT YOUR OWN RISK. MATCHNRIDE.COM SPECIFICALLY DISCLAIMS ANY LIABILITY, WHETHER BASED IN CONTRACT, TORT, NEGLIGENCE, STRICT LIABILITY OR OTHERWISE, FOR ANY DIRECT, INDIRECT, INCIDENTAL, PUNITIVE, CONSEQUENTIAL, OR SPECIAL DAMAGES ARISING OUT OF OR IN ANY WAY CONNECTED WITH ACCESS TO, USE OF OR RELIANCE ON THE CONTENT (EVEN IF MATCHNRIDE.COM HAS BEEN ADVISED OF THE POSSIBILITY OF SUCH DAMAGES) OR THAT ARISE IN CONNECTION WITH MISTAKES OR OMISSIONS IN, OR DELAYS IN TRANSMISSION OF, INFORMATION TO OR FROM THE USER, ANY FAILURE OF PERFORMANCE, ERROR, OMISSION, INTERRUPTION, DELETION, DEFECT, DELAY IN OPERATION OR TRANSMISSION OR DELIVERY, COMPUTER VIRUS, COMMUNICATION LINE FAILURE, THEFT OR DESTRUCTION OR UNAUTHORIZED ACCESS TO, ALTERATION OF, OR USE OF RECORDS, PROGRAMS OR FILES, INTERRUPTIONS IN TELECOMMUNICATIONS CONNECTIONS TO THE WEBSITE OR VIRUSES, WHETHER CAUSED IN WHOLE OR IN PART BY NEGLIGENCE, ACTS OF GOD, TELECOMMUNICATIONS FAILURE, THEFT OR DESTRUCTION OF, OR UNAUTHORIZED ACCESS TO THE WEBSITE OR THE CONTENT. THIS LIMITATION OF LIABILITY MAY BE DIFFERENT IN CONNECTION WITH SPECIFIC PRODUCTS AND SERVICES OFFERED BY MATCHNRIDE.COM. SOME JURISDICTIONS WHERE USERS MAY RESIDE DO NOT ALLOW THE LIMITATION OF LIABILITY, SO THIS LIMITATION MAY NOT APPLY TO YOU.